Review: Ozzy Osbourne - "Blizzard Of Ozz (Expanded Edition)"
Ozzy's legendary solo debut gets the expanded edition treatment. In 1979, Ozzy Osbourne's career had hit a major turning point. Fired from Black Sabbath, who had since gone on to replace Osbourne with Ronnie James Dio, Osbourne's next move needed to be big, No one could have predicted just how big it would be. 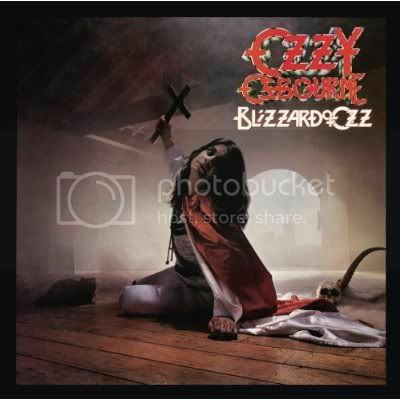 Osbourne joined forces with bassist Bob Daisley and drummer Lee Kerslake, but it would be former Quiet Riot guitarist Randy Rhoads who stole the show on what would become not only one of the best solo debuts, but one of the best metal albums of all time, Blizzard Of Ozz. Over the years, both Daisley and Kerslake had a falling out with the Osbourne camp over royalty issues. When Blizzard was remastered in 2002, then current Ozzy bassist Robert Trujillo and drummer Mike Bordin, in a highly criticized move, performed new bass and drum parts for the CD. The original performances have been restored however for the new Blizzard Of Ozz (Expanded Edition). During Osbourne's last tour with Black Sabbath, their opening band featured a hotshot young guitarist named Eddie Van Halen. Now Osbourne had his own in Rhoads and the governor was definitely off, with Rhoads' searing, neo-classical leads elevating many of the songs to classic status. From the opening notes of "I Don't Know," Rhoads' guitar is like a buzz saw to the listener. His playing is aggressive, yet melodic, with classical influences. The songs on Blizzard Of Ozz have become such radio staples that it is easy to take them for granted. Still, in 1980, they were an assault on the senses and the track listing — which also features "Crazy Train," "Goodbye To Romance," "Suicide Solution" and "Mr. Crowley" reads like a metal greatest hits album. While the production wasn't the best on Blizzard, the expanded edition, while mixed slightly too loud, is about the cleanest this material has sounded on CD. The CD is weak on bonus tracks, featuring only three: the popular B-side "You Looking At Me, Looking At You," a short Rhoads jam session entitled "RR" and a guitar and vocal only mix of "Goodbye To Romance." It would have been nice to get "You Said It All" or the complete Southampton 1980 concert as bonuses, but they were excluded for whatever reason. Still, the positives outweigh the negatives. Blizzard Of Ozz (Expanded Edition) sounds as good as it will likely get on CD and the original performances have been restored. Anyone who is into Osbourne or who is serious about metal needs to own this album.